Quality Belly Rings by TummyToys Australia. May Emerald 14K Gold Belly. 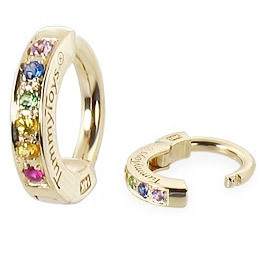 You're viewing a classic double prong set circle belly button ring in solid 14 karat yellow gold. 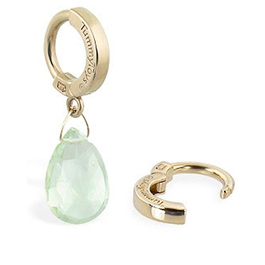 The belly bar boasts a duo of emerald green cubic zirconia gemstones representing the birthstone colour for May. 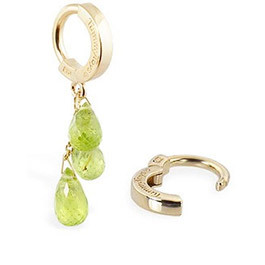 This stunning belly ring is handmade in the US, it is solid gold with no plating and comes with a money back guarantee. These yellow gold belly bars contain NO NICKEL. The gold compilation is 14k Yellow. 58.5% gold, 31.6% copper, 5% silver and 1.9% zinc making them exceptional high quality and eliminating allergy risks for belly piercings. 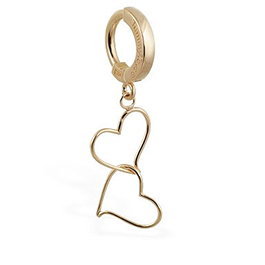 TummyToys stock the largest variety of high quality and designer yellow gold belly rings.